It was a very busy January here at S2F Marketing, with a lot of satisfying campaign activity, design jobs and web projects being delivered through the studio. We also welcome Kirendeep Virdi to the team. Starting the year as we mean to go on – We have made a conscious decision to start shouting about what we do, showcasing a selection of marketing materials each month in an ongoing round-up. Read up on a selection of projects delivered during January below. 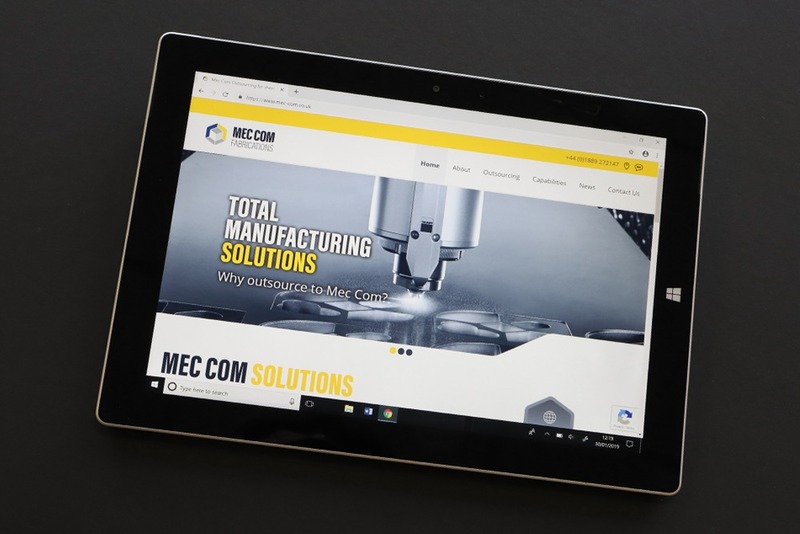 We’re pleased to announce the launch of Mec Com’s new responsive website this month, which utilises the new brand and service direction developed during 2018. 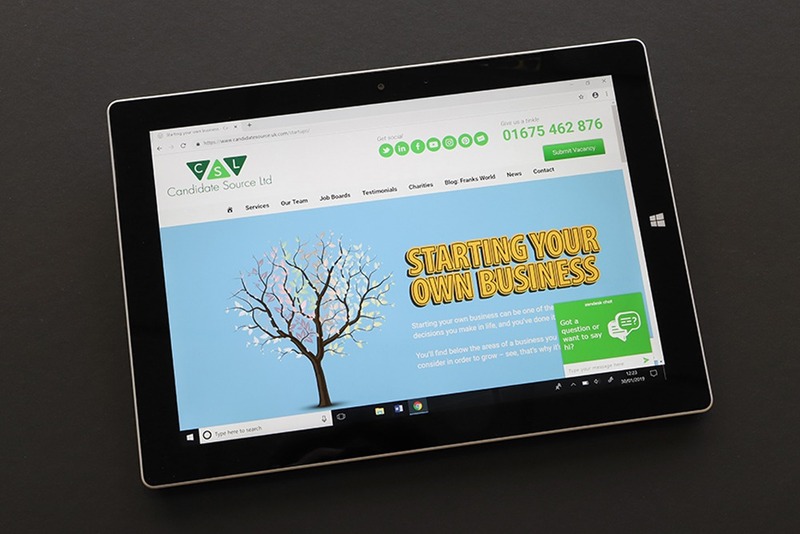 As well as designing and building in-house, we will also be helping to promote the company’s online presence through social and email marketing, blogging and Search Engine Optimisation improvements. Work on its Romanian website will start in the coming weeks. Designing and developing the new Mec Com website was a great project to work on. The design makes use of strong bold headings, sharp imagery and a focus on promoting core services. The responsive design adapts to any device and screen size, offering prospective customers and users an optimal experience. The previous Mec Com website promoted a wide range of services, and it was identified at an early stage of development that the capabilities of the company were becoming watered down and could cause confusion for users to navigate through. We worked with Mec Com’s senior management to drill down into its core service offering, strengthening the message to potential customers and focusing on promoting what they do best. ‘Electrification’ is a term that many manufacturers will be aware of; as manufacturers make up the core S2F client base, it is important that we understand the subject in detail. 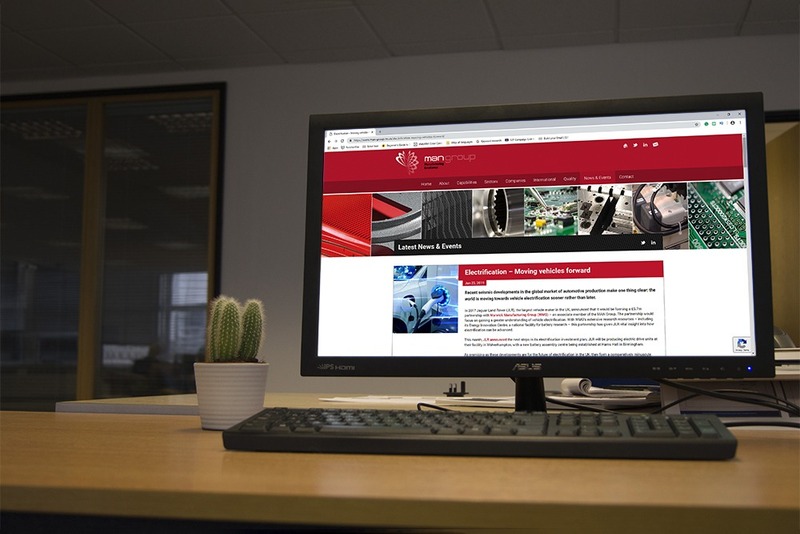 As is standard with any of the content we produce for our clients, research is paramount – in the case of electrification, we really did delve deeper than ever into understanding our subject matter. In-depth online research and access to research documentation, direct communication with our manufacturing contacts and a visit to Warwick University’s Advanced Propulsion Centre has given us a bedrock of content for future marketing campaign activity. For the Midland Assembly Network (MAN Group) – a collaboration of 8 manufacturing disciplines and an industrial design agency – electrification of vehicles, battery/energy storage and changes to infrastructure make for exciting new business opportunities. Therefore, the group became our first client to build a series of electrification campaigns around. S2F are delighted to announce that its team of experts has expanded. Kirendeep Virdi started in the new year as Digital Content Assistant and is currently getting to know the client base, how we operate day-to-day and beginning to have a hand in a variety of different marketing deliverables. Kiren has previous experience in marketing and design and has an MEng(Hons) in Product Design and Manufacture, which brings a whole new set of skills to the table. We hope you will join the whole team at S2F in extending a very warm welcome to Kiren and wishing her all the best in her new role. Creating the new service pages for Candidate Source was an interesting challenge. We wanted to integrate the new WordPress 5 editor into the website, and the design of the new pages was a perfect opportunity to utilise the new Block Editor. This new editor offers unrivalled flexibility when it comes to creating engaging content, unfixed to limiting templates. Adapting the WordPress theme to make use of new Flexbox CSS layouts, while still supporting float-based layouts, was a worthwhile task to ensure that the Candidate Source website stays one step ahead of the curve whilst still supporting older browsers. The new pages are highly optimised, responsive and make us of SVG images to speed up the website. This is essential in making sure that the detailed graphics are pin-sharp on high-resolution displays. Improving user experience was a key factor in the design process, opting for bitesize content portions that make best use of the window space as users scroll. Introducing interactive aspects to improve page retention ensures that user experience is improved not only by navigation but by design also. A playful and soft pastel colour palette is used throughout to reinforce the Candidate Source brand and its identity as an approachable and friendly team of experts. We’re very proud of the new service pages and its use of contemporary web design, intelligent layouts and backwards compatibility. 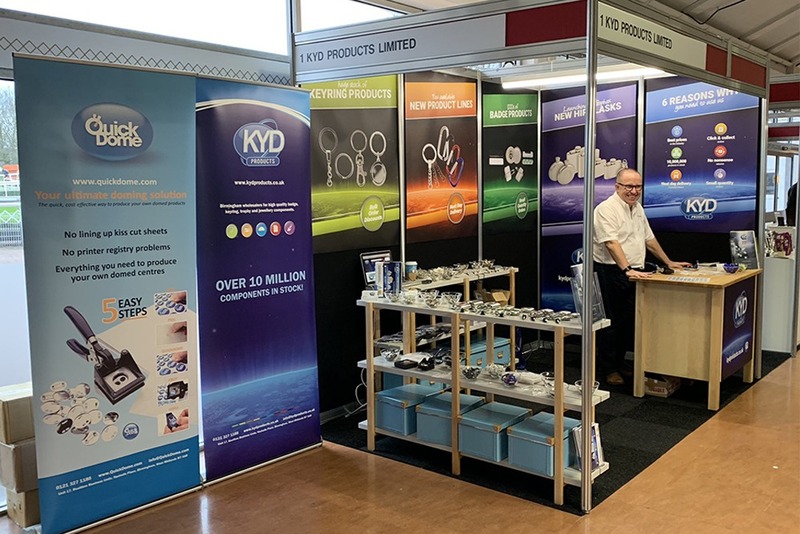 Graphic panels, new product photography, website promotion, social media and email marketing completed a campaign approach for KYD Products in promoting its presence at the Trophex 2019 exhibition. We also helped launch a brand-new range of products at the show, which is already proving to be a very popular line with new and existing customers. Kyd Products is one of the largest suppliers of badge and keyring components in Europe. A really enjoyable project to be involved in last month was the release of the first PP Control & Automation customer case study campaign. 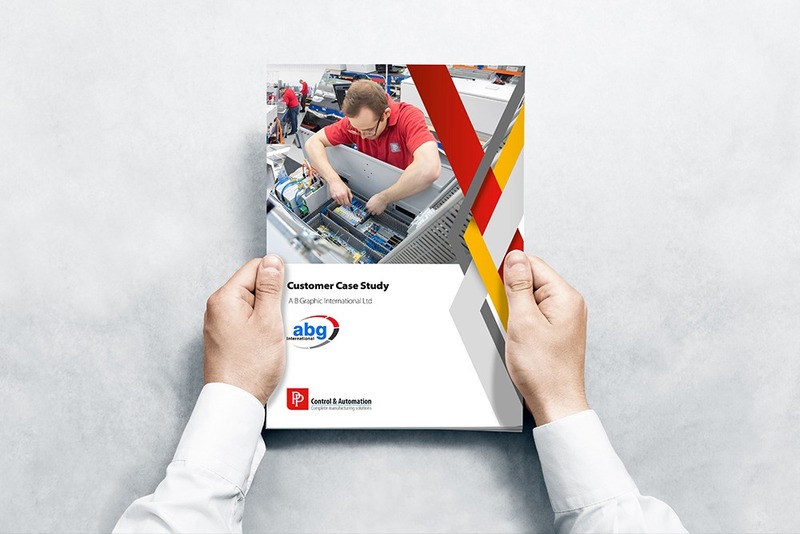 Similar campaigns will run throughout the year where we produce both a digital and print-ready case study document based on information from PP Control & Automation and its customer. For each case study a press release will launch through national and industry press, a full batch of photography will be taken at the customer’s facility, and all content will be promoted through social and email marketing, directing audiences to a new dedicated area on the website. Video production is prepared for a selection of identified case studies in the future, to cover multiple campaign marketing deliverables. Richard builds and manages our client’s digital marketing campaigns, ensuring coordinated social media management, email marketing and blog creation – to name but a few of the activities that will cement your online presence and ensure awareness in your brand. Richard’s holistic approach to your digital marketing ensures that all interconnected facets of digital activity benefits a larger whole; your online presence. Every digital campaign is preceded by an easy to understand report that provides observations and tangible results.